Today’s star-studded event Shakespeare Live! from The RSC in honour of the 400th anniversary of the Bard’s death really highlighted what an impact William Shakespeare has had on language and culture over the last 450 years. Noted actors David Tennant and Catherine Tate, who both previously performed with the Royal Shakespeare Company, and starred together as Benedick and Beatrice in a production of Much Ado About Nothing, hosted the show expertly, as it was broadcast live from Stratford-upon-Avon where Shakespeare was born to TVs and cinemas worldwide. Especially David Tennant’s excitement was palpable, looking as giddy as a kid in a candy shop as he walked on stage. Shakespeare Live! not only featured some of Britain’s most famous Shakespearean actors of our time, it also showed the influence Shakespeare continues to have on the performing arts. While the show featured a huge variety of speeches and soliloquies, it also included everything from ballet and opera to musical theatre and jazz. 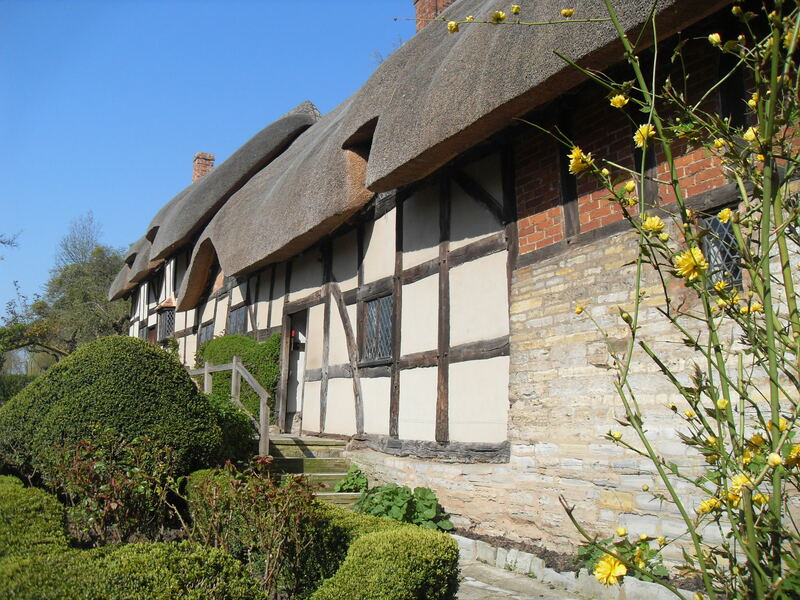 Performances ranged from beautiful and gracious, to funny and moving, and even included social commentary written by William Shakespeare more than 400 years ago which is sadly still current today. Welcome to the Weekend Coffee Share, a blog hop by the lovely Diana over at Part Time Monster. Every weekend we get together for virtual coffees and a little casual chat. If we were having coffee today, we’d sit inside sipping a hot brew. Even though temperatures reached 20°C here this week, today it’s back down to 8°C. How have you been this week? 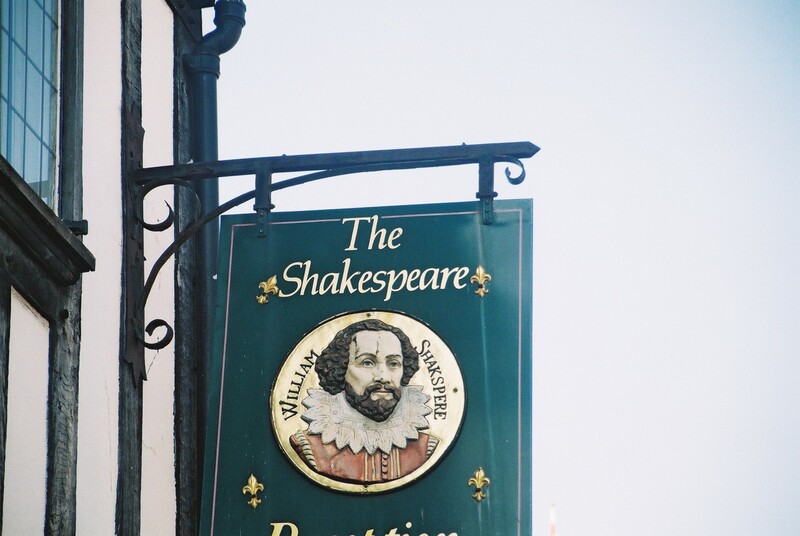 If we were having coffee, we’d be talking about the Bard himself, William Shakespeare. Today is the 400th anniversary of his death, and there are Shakespeare celebrations everywhere. In fact, tonight, I’ll be seeing the star-studded live screening of Shakespeare Live! at the RSC from Stratford-upon-Avon. I’ve been to Stratford twice before. 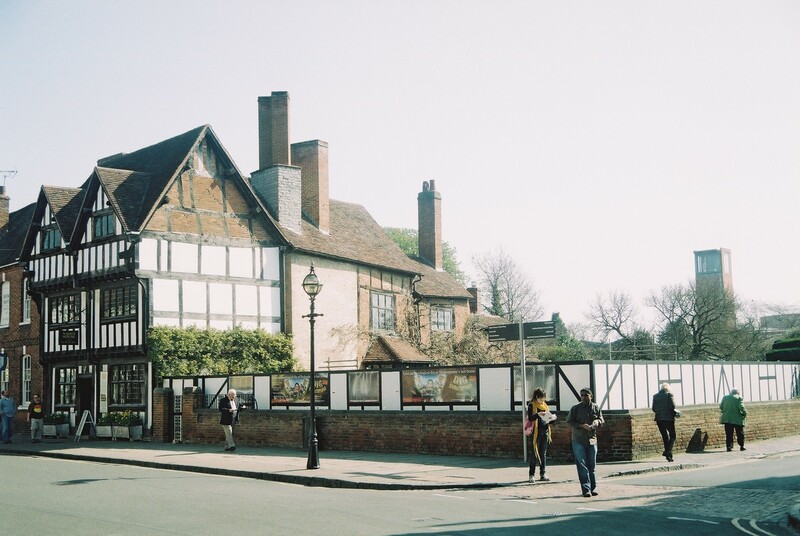 My grammar school actually had an exchange programme with the Stratford-upon-Avon Grammar School for Girls and in 2001 I had the chance to participate. It served as my introduction to Shakespeare and his works, though back then, all we did was read his works. I confess, I may have gotten into Shakespeare earlier if we’d seen some of his plays. 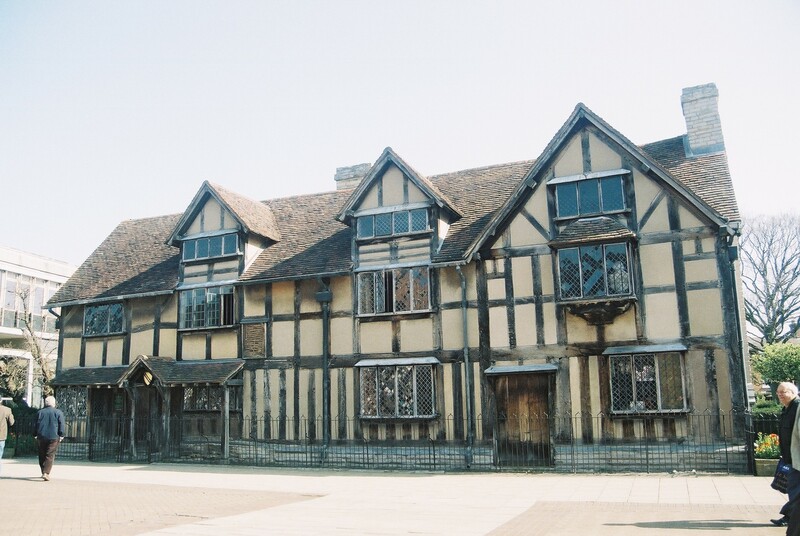 I went back in 2010, to revisit Shakespeare’s birthplace, New Place and take a short trip out to Shottery to Anne Hathaway’s Cottage. I think I really started to fully grasp Shakespeare when I saw the production of Richard III at Trafalgar Studios in London, starring Martin Freeman in 2014. If my first introduction to Shakespeare had been that play, I’d have been a convert immediately. It was updated, set in the 70s, performed in an intimate theatre, incredibly well-performed and so full of energy you didn’t feel the time pass at all. Since then I’ve made it a point to see more Shakespeare plays, like Hamlet at the Barbican last year, screenings of Richard II, As You Like It, Much Ado About Nothing, Hamlet and Coriolanus. Do you have a favourite Shakespeare play? I can’t decide. I’d probably say A Midsummer Night’s Dream, but I have also found that in terms of theatre, I do like Shakespeare the better the gorier it is. If we were having coffee today, I’d tell you I’m still catching up on the A to Z Challenge posts and hoping to be all caught up by tomorrow. So far I’ve reviewed: A Study in Scarlet, Bonjour Tristesse, Cross Bones, Down Under, Everything is Illuminated, Fahrenheit 451, Gulliver’s Travels, Holy Cow, Into the River, Jonathan Strange & Mr. Norrell, Kim, Lucky Man, Mr Penumbra’s 24-Hour Bookstore, Neverwhere, On the Road, Pride and Prejudice and Zombies as well as Quite Ugly One Morning. I’m afraid this is where I have to leave you today. I still need to drive to Düsseldorf to get to the cinema in time for the screening. This review of Hamlet at the Barbican starring Benedict Cumberbatch was originally posted on Study.Read.Write on August 11, 2015. I realise this review was of a preview performance (as the likes of me did not qualify for Press Night tickets despite having Press ID), and subsequently, the dialogue has been moved around again, moving “to be or not to be” back to its rightful place. I am republishing the review here in celebration of #ShakespeareDay on the 400th anniversary of the bard’s death. This is one of my real-life writing samples. I’m a trained journalist, so I sometimes write theatre reviews. This one I’m particularly proud of, as it combined a trip to London (I’m based in Germany), my favourite actor and Shakespeare. It’s a review of Trafalgar Transformed Season 2: “Richard III” at Trafalgar Studios, London, which ran from 1st July 2014 until 27th September 2014, starring Martin Freeman. First published on Fernweh & Wanderlust on 27th July 2014, and subsequently on my other blog Study.Read.Write. celebrating #Shakespeare400 and all the Bard’s works. After a family bereavement, a man returns to his rural childhood home and heads down the lane to the old ramshackle farmhouse next door that he used to visit as a child. And he starts to remember fragments, of how he used to play with a little, remarkable girl called Lettie Hempstock, who lived on the farm with her mother and gran. Who took him to the pond behind the homestead and called it her ocean. Neil Gaiman beautifully weaves a tale of magic and half-remembered childhood days. The man had not thought about Lettie and her family in decades, and yet, fragments of his past come back to him that seem too strange and frightening to have happened, let alone to a seven-year-old boy. Something incomprehensible happened in the man’s childhood, which unleashed a darkness on the small community on the lane, and set in motion a devastating chain of events. The Ocean at the End of the Lane is a beautiful study of what makes us human, and also on how we perceived the world when we were little. Lettie and her family could not really be witches, could they? But which part of the remembered past are true, and which are childish imagination? Maybe there is no distinction between them at all. Neil Gaiman seems to have found the perfect mixture of truth and imagination, magic, reality, joy and sadness, wit and dry humour, happiness and fear, which gives the story a sweetly melancholic atmosphere. The book captures the reader’s attention from the first page to the very last, spinning a tale of mystery, old wisdom, love, and resentment. Parts of the story hit close to home, in every sense of those words, while others are endearingly whimsical. Even the physical book itself insists on being whimsical and that little bit different and special, with its intentionally rough, untrimmed edges of the paper. The Ocean at the End of the Lane stretches imaginations and definitions of what is possible and what is not; and whether one thing could not simultaneously be another as well. And maybe, just maybe, the fantastical stories we thought we made up as children turn out to be real after all. Not remembering properly may simply have been less painful. This is one of those rare books whose message you have to digest for a while after you finish reading it. 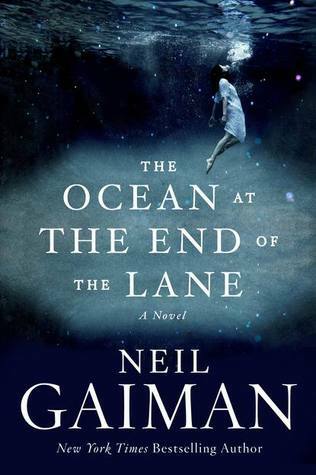 It will make you question your childhood memories and the limitations of your imagination, and Gaiman’s exquisite style will immerse you so deeply in the story that you think you are really walking alongside Lettie Hempstock and the boy searching for the ocean behind the old homestead at the end of the dusty lane.